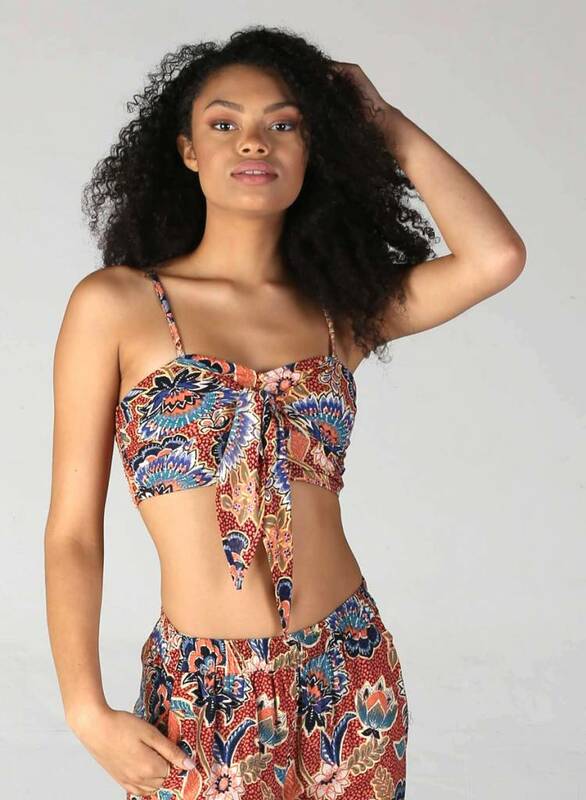 A mini crop top with a flirty tie front and v neckline with adjustable straps and stretchy smocked backing for the perfect fit. Matching pants available to wear as a set! See below.